From its entrance in the glass, we already reveal the maturity of its basic fruit. Its dark ruby color announces many tasty satisfactions reminding that its base is the blackthorn, the fruit which exposes in maturity. Associated for the first time with a brewing fermentation, and married to a young lambic, thus acid, this beer ends in a rich taste browsing 3 delicious stages, from its introduction in mouth. It reveals successively its freshness by a powerful nose, a fruity flavor moderately spreaded with an acidity become modest and conjugated with a conclusion reminding its unpublished basic fruit. © 2019 Brewery Timmermans – Beer brewed carefully, to be consumed with care. 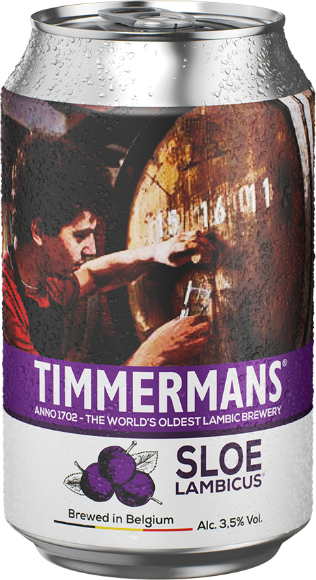 Timmermans has been brewed carefully and is to be consumed with care. By accessing this website, you confirm you are of legal drinking age.